Come choose some books to be purchased for your libraries….your chance to have your say in what you want to see on your library shelves. At the Grafton Library from 4:00 – 7:00 pm Tuesday 19 March you will be able to choose from a range of fiction and non-fiction books. 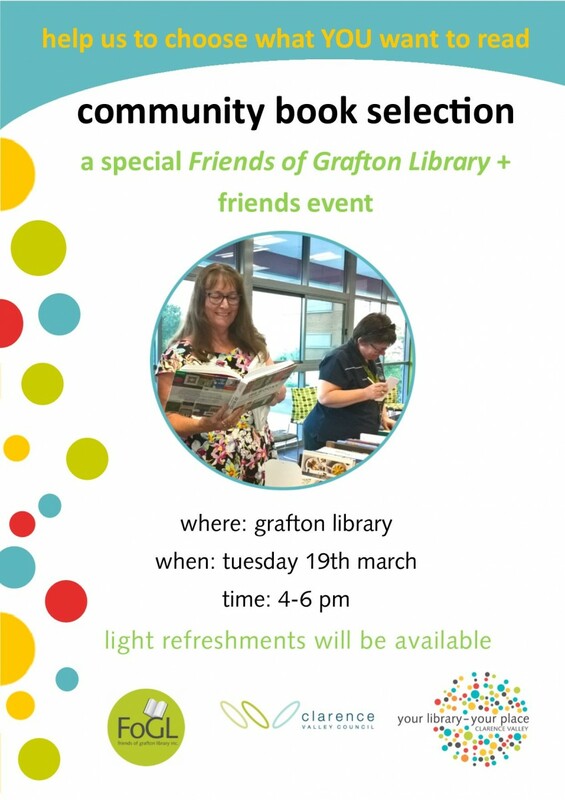 “This is a chance for Friends of Grafton Library and their friends, to have their say in what the library buys,” Ms Breward said. ‘It is also a good opportunity to chat to library staff, booksellers and other readers about your reading passion’, Kathryn added. Library members can have the books reserved on the day so that after the items have been processed, they can be the first to take them home.